I began making up stories before I could write. I would tell a story to my baby sitter and she would type it out. When I got to elementary school I began writing poetry. In high school I edited the school paper. I never stopped writing. I think all the books I read when I was young had a lot to do with my writing. 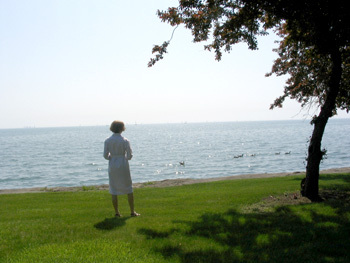 Many of my books are about a favorite place in Michigan. Sometimes I write about places that are far away or about earlier times. This gives me a chance to live in other countries and in other times -- at least in my head. The research for these books is like a treasure hunt, I never know what I'm going to find. I’ve made imaginary trips to China, India, and Vietnam and imaginary and real trips to Russia and Africa. 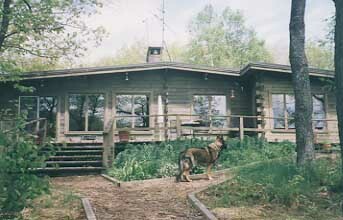 For over thirty years my husband and I lived in the woods of northern Michigan in a cabin on a small lake, Oxbow Lake. 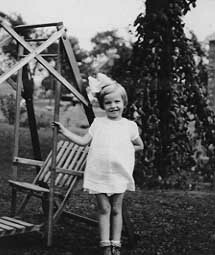 Our children and grandchildren often visited. The nearest house was a mile away and I had to walk half a mile to get the mail. 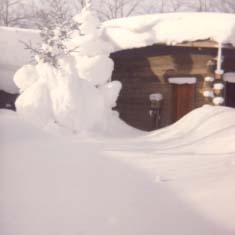 In the winter the lake was a big white circle and the snow piled up from the ground and hung down from the roof until you could hardly see out the windows. Sometimes a coyote trotted out on to the lake and lay on the ice, its muzzle between its paws, lazing in the sun. In the summer we saw fox walking around the lake and deer drinking at the lake. 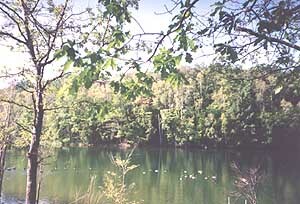 The eagle and the osprey fished the lake and the blue heron stalked the lake’s edge. The things I saw as I walked in the woods or looked out of my study window often found their way into my books. There are herons and eagles in my book about India and Africa and China, only their plumage is a little different. 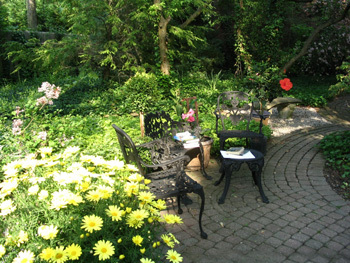 After breakfast, I’m at my computer or writing in my secret garden. I usually work until noon when its time to explore the frig. After lunch I’m out walking along Lake St. Clair. That’s when I solve any problems that have come up that day in my writing. I’m also thinking about what I’ll be writing next. Getting a story down for the first time is the hardest part because you have to make up everything: the weather, the people, their clothes and the food they eat. Revision is my favorite part. It’s when you get to make the story more and more like the story as you imagined it. When I’m not writing or walking, I’m cooking or reading, mostly reading. I read a lot and when I put a book down, I feel the author has become my friend. I hope my readers feel the same way about me. 2000 National Book Award, Michigan Author of the Year Award; ALA Notable Children's Book, ALA Best Books for Young Adults, Great Lakes Booksellers Award ; Society of Midland Authors Juvenile Fiction Award; Nomination for an Edgar, Mystery Writers of America; Friends of American Writers Award; IRA Children's Choices List, IRA Teachers' Choices List; Notable Children's Trade Book in the Field of Social Studies; Best Books of the Year Bank Street College; Los Angeles' 100 Best Books; Distinguished Achievement Award from the Educational Press Association of America. Master List Finalist for the following: Florida Sunshine State Young Reader's Award, Texas Lone Star Reading List, Pacific Northwest Library Association Award, South Carolina Book Award, Virginia's Young Reader's Program, Rebecca Caudill Young Reader's Book Award, Evergreen Sequoyah Young Adult Book Award, William Allen White Award, Nutmeg Children's Book Award, Minnesota Youth Reading Award, New Jersey's Garden State Award, Utah's Children's Book Award, Dorothy Canfield Fisher Master List; Georgia Children's Book Award; California Reading Initiative; Iowa School choices; Mark Twain Award, Young Hoosier Master List. National Outdoor Book Award.